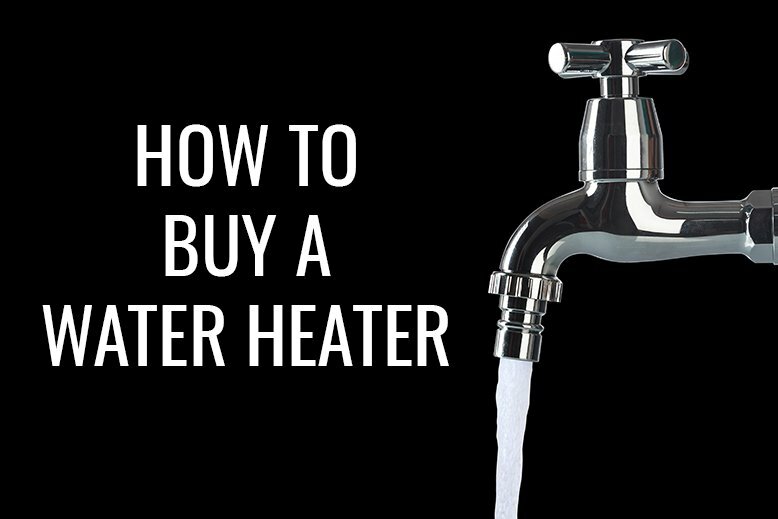 Your water heater is most likely something you haven’t given a second thought, but the moment you turn on the water hoping for a hot shower and nothing but cold water comes out, you’ll definitely start looking into how to buy a water heater. If you’re in the market for a new water heater or just want to be prepared for the day yours may break, we’ve put together some information to help you make purchasing your water heater an easy process. If you are changing out an older water heater for a new one, you need to make sure you measure your space carefully. Water heaters come in a variety of heights and diameters, even if the new water heater has the same tank size as the old one. Newer water heaters also have more insulation than older water heaters, which could change the size and shape. Generally speaking, you’ll need a larger tank with a larger household. 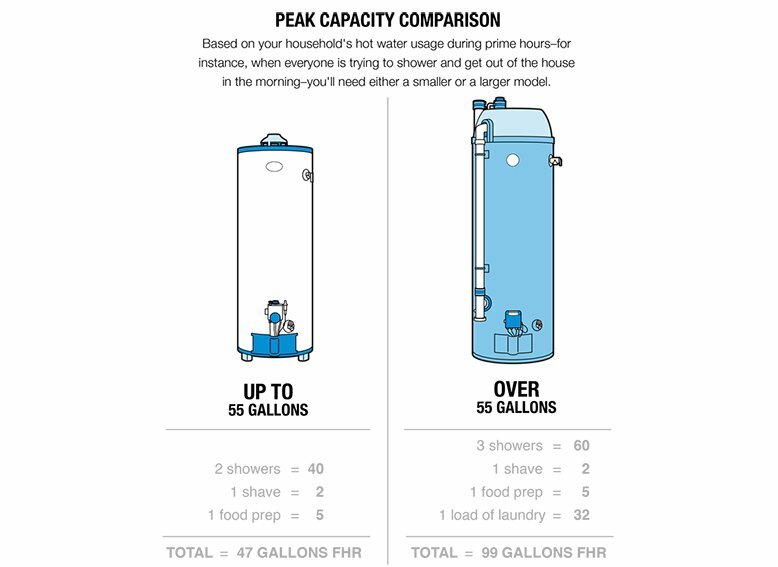 Most water heaters are sold based on how many gallons they hold, but more important than that is the first-hour rating (FHR) for storage-tank water heaters and gallons-per-minute rating (GPM) for tankless water heaters. The FHR and the GPM tell how much hot water the water heater can deliver over a set period of time. Before you buy your water heater you need to know what fuel source your home has. Water heaters come in electric, gas or propane, or as a hybrid. If you want a gas water heater but don’t have a gas line going into your home where the water heater will be stored, make sure you consider the costs that will be associated with running a gas line. This is the most common type of water heater. An insulated tank heats and then holds water until it is needed. Storage tank water heaters come in electric, propane, and natural gas models. Natural gas models use less energy and are cheaper to run than electric water heaters, but cost more upfront. Unlike the storage tank water heaters, tankless water heaters heat water using heating coils as the water flows through it. These are much more energy efficient options, but they can run out of hot water during heavy usage. For example, if you run a shower and the dishwasher simultaneously the water heater may have a hard time keeping up with demand. These are good for residences that are occupied part-time. These are some of the most energy-efficient water heater options available - they use 60% less energy than standard electric water heaters. A heat pump water heater captures the heat from the air and transfers it to the water. These heaters don’t work well in cold areas and need to be kept in an area that stays between 40-90 degrees. You’ll also need a drain nearby for the condensation that forms on these heaters. If you have more questions about purchasing a water heater, make sure you talk to a professional and don’t forget to check out the water heater options available at RC Willey.